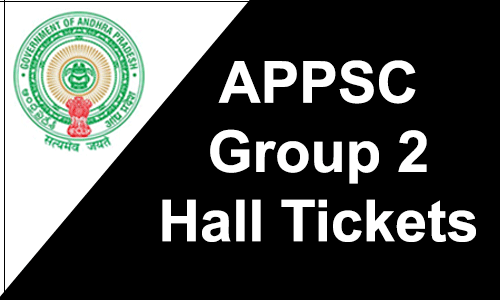 APPSC Group 2 Hall Tickets will be released on its Official website psc.ap.gov.in. 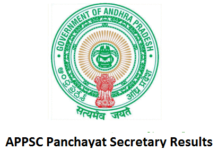 Andhra Pradesh Public Service Commission is going to conduct APPSC Group 2 Examination on May 5th, 2019. So all the Candidates who have applied for Group 2 Jobs 2019 can download the Admit cards from its official site. The Hall tickets will be released on before ten days of the Examination. So all the Candidates should keep visiting the Official site for the Group 2 Hall Tickets. APPSC Released group 2 Notification of 337 Vacancies on its Official site. in April 2019. Check the Complete details of APPSC Gropu 2 Notification 2019 Here. APPSC Group 2 Notification 2019 Candidates can get the APPSC Log in Option here. Here we provided the APPSC Group 2 Syllabus along with Exam Pattern. Download the APPSC Group 2 Hall Tickets from this page. here we provide the Direct link to download the Admit cards. Click on the Available link and Download the Hall tickets by a single Click. 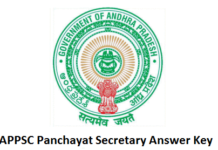 Get APPSC Group 2 Hall Ticket 2019 @ www.psc.ap.gov.in: Andhra Pradesh Public Service Commission is going to release APPSC group 2 Admit Cards and will provide the APPSC Group 2 Hall Ticket downloading links on their official site @ psc.ap.gov.in. So all the candidates should keep in touch with the Official site for Admit card updates of APPSC group 2 Examination 2019. Log on to the Official website psc.ap.gov.in. On the home page, Search for APPSC Group 2 Hall Ticket Link 2019. Enter the Required Details like registration Number and Password. Download your Hall ticket and take a printout for further use. Andhra Pradesh Public Service Commission earlier issued an notification for various 982 Group 2 (Executive & Non-Executive) posts. Andhra Pradesh PSC is going to conduct screening test in Off-Line mode on 26th February 2017 and the main examination in On-Line mode for candidates selected in screening test will be held on 20th & 21st May 2017. All those candidates who had applied for the APPSC Group 2 Recruitment 2017 can download call letters from the official website. Candidates have been advised by the Andhra Pradesh Public Service Commission to bring their admit card along with one photo identity proof in original and duplicate at the time of exam. The use of electronics devices is strictly banned in the exam hall. · Click the link Group 2 Exam Admit Card.